In reaction to the recent proliferation of non-compete agreements, courts and legislatures are increasingly trying to find ways to limit their use. The latest attempt is at the federal congressional level. This week, Florida Senator Marco Rubio introduced the “Freedom to Compete Act” aimed at prohibiting non-compete agreements for lower wage workers. The Act would amend the Fair Labor Standards Act to ban non-competes for most non-exempt workers. It would extend not only to new agreements but also retroactively to pre-existing agreements previously entered into between employees and employers. The Freedom to Compete Act is broadly drafted to void any agreement that restricts “any work for another employer,” “any work in a specified geographical area,” and “any work for another employer that is similar” to the employee’s prior work. Despite purportedly voiding only non-compete agreements, the Act’s expansive “any work” language would likely also void customer non-solicitation and non-disclosure agreements. Given the variety of conflicting ways in which states interpret and enforce restrictive covenants, federal legislation may be useful; however, a ban on virtually all restrictive covenants is a giant leap and one likely to face serious opposition. We will continue to track this and similar legislature. In the meantime, it remains important for employers to carefully consider how—and for whom—they are employing non-competes. Proactive audits and adjustments to account for emerging trends are in order. 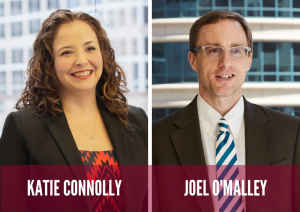 For further information on the Act or on restrictive covenants, contact Joel O’Malley or Katie Connolly.